The joy in discovering eggs from our hens is infinite. The colors, sizes, shapes, patterns, textures, must be nearly infinite... I'll discuss this with Max: 13 hens, four breeds, and all of the possible results. Practically incalculable, but certainly intriguing. The mystery, even in something so simple, seemingly obvious, makes me happy, too. 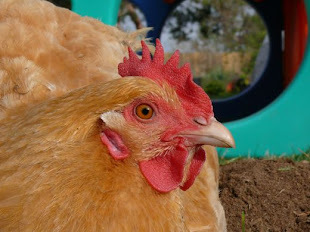 It is in the hen's nature to make a nest, to find the ideal spot to lay her eggs. Dark, safe, out of the way. She may want to sit, brooding over her clutch. She may cackle and fuss, announcing her accomplishment, although nature's purpose in this activity still confounds me! It was the very nature of wild Guinea Fowl that made them ideal for domesticating to begin with. They come home to roost... it is their nature. The best love of all is the love and wonder and amazement and appreciation of the very every day miracles we share. Pretty eggs! We're still waiting for our first egg. We've seen signs that it could be coming any day now!